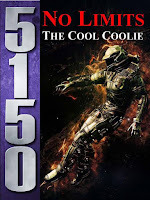 2 Hour Blog: 5150: No Limits - The Cool Coolie Coming oon! 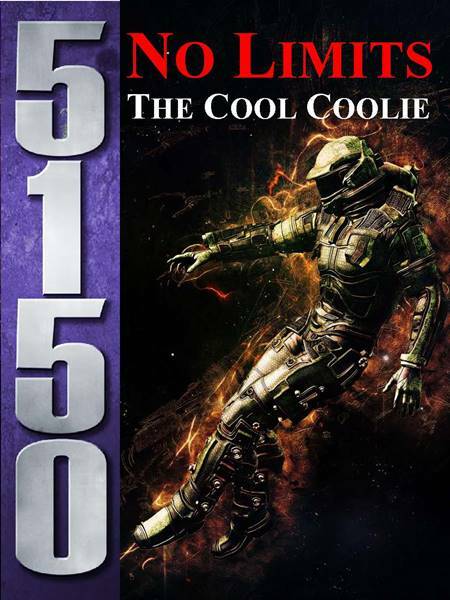 5150: No Limits - The Cool Coolie Coming oon! Reaching the end of the flight line, Gus smiled. There she sat, Gus’ prize possession the “Cool Coolie” – a small trader by galactic standards. Yet, she was much larger than the gun boats he’d piloted during his twenty-year stint in the Corps. She looked as though she had seen better days, but that was the way Gus preferred it. A beat-up looking ship attracted less attention from authorities and pirates alike. Gus was a transporter by profession but being based out of New Hope meant he also did a good amount of smuggling. He was owner, pilot and captain. A captain who was beginning to wonder the whereabouts of his crew. Gus climbed into the cockpit and nestled into the pilot’s seat just in time to see the sun crest the horizon amid brilliant hues of gold and orange. Sunrises on the arid New Hope landscape were always spectacular. He noticed a blinking light on the comm panel. He pushed the button, it was a message from Shortcake. The Cool Coolie - Coming later this week. Whats cooler than cool? The Cool Coolie! Night Terror sounds interesting too. I'm in. This already sounds like a movie worth seeing. Three "new" Aliens in the Cool Coolie, one in the Night Terror. Black Friday 25% Off Sale starts now! Like Gladiators? Me too! Coming soon! 5150: No Limits - The Night Terror - Coming Soon!